Benefit have been killing it with the magazine freebies recently, and their latest one has recently popped up with the September issue of UK Elle. 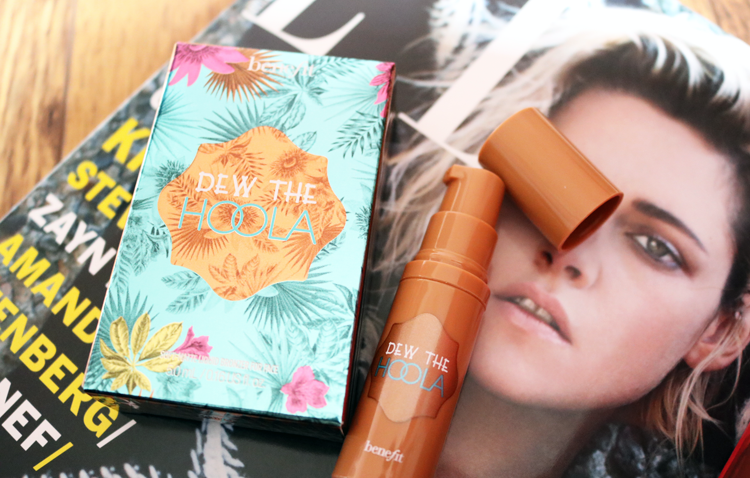 This time around, Benefit are giving away a 5ml deluxe sample of their popular Dew The Hoola Liquid Bronzer which launched onto the beauty scene last year. Having been a long time fan of Benefit's Hoola Bronzer in the regular boxed powder format, I was curious to try out this liquid variant as liquid bronzers aren't something that I often gravitate towards. This mini is packaged in a cute little tube with an inbuilt pump for easy dispensing. When I pumped a little onto the back of my hand for the swatch below, I was amazed because it does look like an exact liquid version of Hoola - the shade is bang on and there's no shimmer. I've dotted it underneath my cheekbones with my fingertips and used a small stippling brush to blend it out. The texture is very light, almost like a gel-cream and it dries VERY quickly so you have to work fast before it sets! 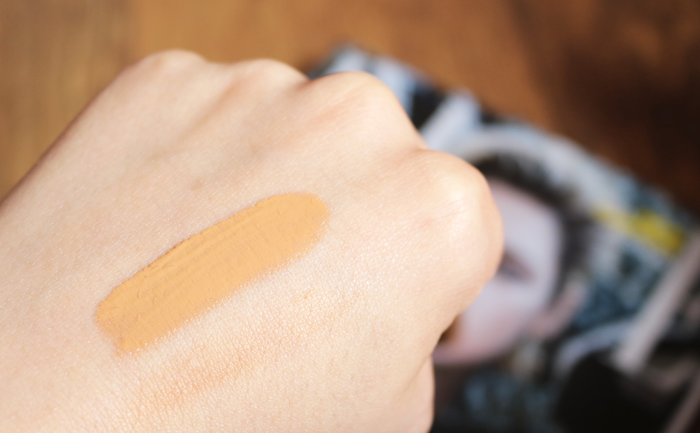 I really like the results though as it gives the skin a touch of warm colour without being too OTT and you can easily add a little bit to your regular foundation for a quick all-over glow. I also found that it's happy to be built up for a slightly darker colour, and doesn't go cakey. The only thing that I don't like is that it's quite strongly fragranced, so I have my fingers crossed that I won't have any breakout issues with it in the near future but so far so good. 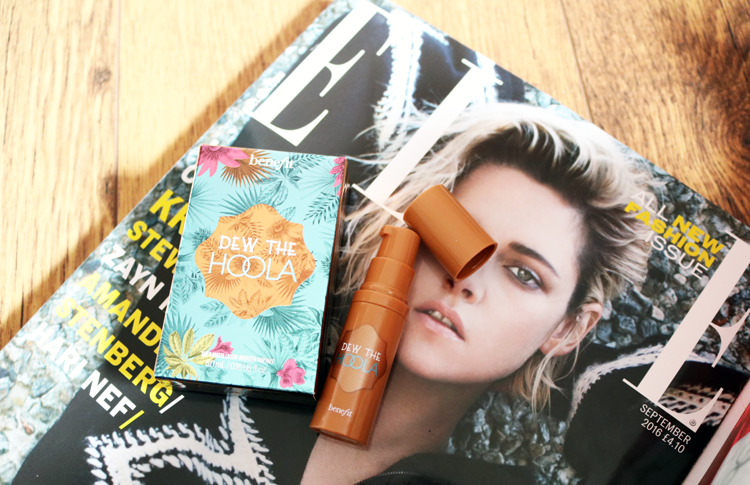 Benefit Dew The Hoola Liquid Bronzer is free with September's issue of Elle magazine (UK version, £4.10). Have you picked up any magazine freebies recently?